This plant is a volunteer that has appeared in my garden….It has soft leaves and looks like it will be a flowering tree of some sort. It’s hard to tell with out its flowers and at this young stage. Perhaps you can give us an update as it grows more mature. Although to my eyes the leaves look similar (?) 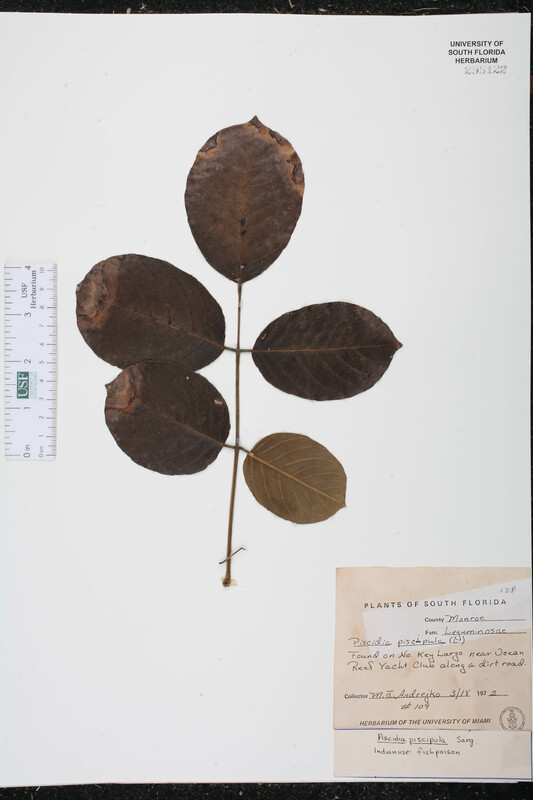 to those of the Florida fish poison tree/Jamaica Dogwood (Piscidia piscipula), I can’t be certain that this is the same plant. For now check out this species from these included links. Best wishes! Another link for leaves images.